Headaches are a common problem and almost everyone will experience some in their lifetime. There are different types of headaches such as migraine, cluster, sinus or tension headaches and range from mild through to severe. For some people headaches are a chronic problem and can make a large impact on lifestyle through loss of work time and restricting social activities. A Physiotherapist can help you to understand your headaches and their triggers outline a management plan, teach relaxation techniques, give advice on computer/ desk set up, treat jaw and neck problems and help to correct postural problems. 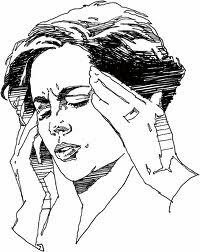 If you suffer from chronic headaches there is much that can be done. Remedial massage therapy can reduce muscle tension, improve muscular flexibility of the muscles of the neck, shoulders and face, improve circulation and promote relaxation. If you would like to make an appointment with a Physiotherapist or a Remedial Massage Therapist for assessment of your headache please contact Rathmines Physiotherapy and Sports Injury Centre on 4975-1622. Private patients no referral required. Most services covered by the ancillary component of private health insurance. Physiotherapists and Remedial Massage Therapists are Workcover approved.